Pretty dame, Sheen Dass is the leading actor of Sooraj R. Barjatya’s new television show Piya Albela. In the show, she is seen playing the lead opposite Akshay Mhatre. Dass shares with us, the stories of her struggle, her preparation for the role and her experience of working with one of the most respected filmmaker of our times! Is Piyaa Albela based on the love story of Vishwamitra and Menaka? The show, as such, did not really require me to do in-depth research on this front. To begin with, the show does not revisit this classic love story. Piyaa Albela is its modern-day interpretation with characters that are contemporary. It is set amidst familiar surroundings and speaks of emotions that are relatable in today’s times. How did your parents react when you told them about the show? My parents were super excited, especially my mother, who never misses a single Rajshri movie or show. She was overjoyed and almost immediately called up everyone to spread the good news. My dad is not so expressive but when I told him about this show, he was ecstatic. How many rejections have you faced before Piyaa Albela happened? 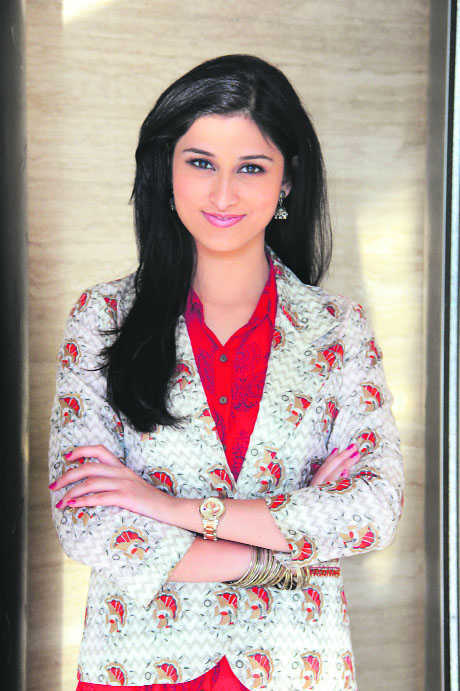 Struggle is a part and parcel of this industry and I have had my fair share before landing Piyaa Albela. Rejections teach you a lot. I have faced many rejections before getting this role. In fact, I thank my rejections as they paved the way for Piyaa Albela in my life. Can we look forward to watching something fresh? A love story is a universal concept and there have been countless romances on television and in films - what sets one apart is who the lovers are and how their love grows! Our characters are such unique, fascinating personalities - the kinds that have not been seen on Indian television and the circumstances that bring both of them together are most unique too. Do you connect with your character? I play Pooja who is a B.com 2nd year student. I am a lot like her, so, it’s easier to portray the character. How is your equation with your co-star Akshay? Akshay is very humble and warm. He has been really nice to me.